Polyunsaturated. It is a fancy word for the specific chemical structure of these fats, and while the name is not important, understanding how these fats can help you is! So let’s walk through the basics. 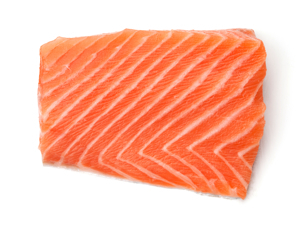 You may be familiar with the terms omega-3 and omega-6 fats, well, they are polyunsaturated fats. Both the omega-3 and omega-6 fatty acids are what nutritionists call ‘essential fatty acids,’ this is because our bodies cannot produce them, and it is essential that we consume them through food. Research shows that reducing the ratio of omega-6 to omega-3 can actually reverse disease. This is a very popular fat, and rightfully so. It has been shown to greatly reduce inflammation in our bodies, and it is tied to a reduced risk of cardiovascular disease. It has also been shown to support other functions such as brain development. There are various forms of omega-3 fatty acids, including EPA and DHA, which are the oils that are found in fish—small oily fish such as salmon, mackerel, sardines, and anchovies are the best source. Then there is alpha-linolenic acid (ALA), which is found in the oils of seeds such as flax, hemp, and chia. Both are good sources, so eat up! Tip: These types of fat are very delicate, and it is best to avoid heating them to high temperatures. Prepare your fish at a low temperature and make sure to store your seeds in the fridge. Omega-6 is not bad at all when it is consumed in the right amount and quality. When consumed in excess, however, it is highly inflammatory to our bodies, and as we have previously mentioned, inflammation is linked to various diseases. A healthy ratio of omega-6 to omega-3 is roughly to 2:1; however, on average North Americans are consuming a ratio of 15:1! Lower this ratio to protect against disease. Foods high in omega-6 fatty acids include many grains, nuts, and seeds, but I will focus mainly on vegetable oils, as they are highly consumed in North America, and are loaded with omega-6 fatty acids. These oils, such as canola, safflower, sunflower, and corn, contain omega-6 fatty acids and are also highly processed. They are considered to be poor-quality fats no matter what type of fat they consist of. In a nutshell, pun intended, we consume more than enough omega-6 through foods like whole grains, nuts, and seeds, so consuming more through oils is unnecessary, and leads to inflammation. Tip: Try substituting vegetable oils with extra virgin olive oil or even a small amount of butter. If you cannot do without vegetable oils, be sure to buy a good-quality brand. Look for organic and unrefined varieties.